Brandon Lowe Window Tint has been the premier window tinting company in west Tennessee for over 15 years. Specializing in Automotive, Residential and Commercial tint applications. Window tinting maximizes your cool factor in more ways than one. Window tint blocks heat, reduces glare and helps reduce interior fading. 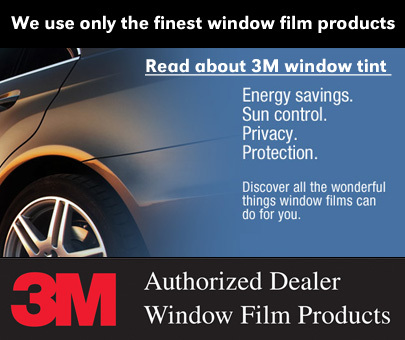 Brandon Lowe Window Tint uses 3M window tinting products and is the only Authorized 3M Dealer in the Jackson Tennessee area.